It's assessment season for me and my students. Which means lots of work, some stress, doing one's best and fighting to keep on top of everything. I hope you will all wish my students the very best with their exams and assessments, as in the next month or so, they are taking some of the most important of the whole course. 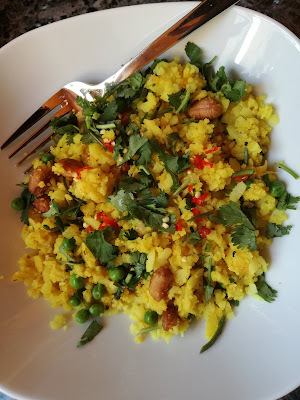 In amongst it all, I'm trying to keep on cooking and eating, trying out new recipes and revisiting old favourites. Sometimes cooking is like meditation, a way of using your hands, working on something and being able to let go of the cares of the day. At other times, it feels like a creative process, which for me, makes it feel fulfilling and gives me a sense of achievement. I wonder if many people feel the same, or whether it feels like a bit of a chore. Having said that, I'm lucky that the inimitable Him Indoors is around to lend a helping hand, making it more of a joint enterprise! 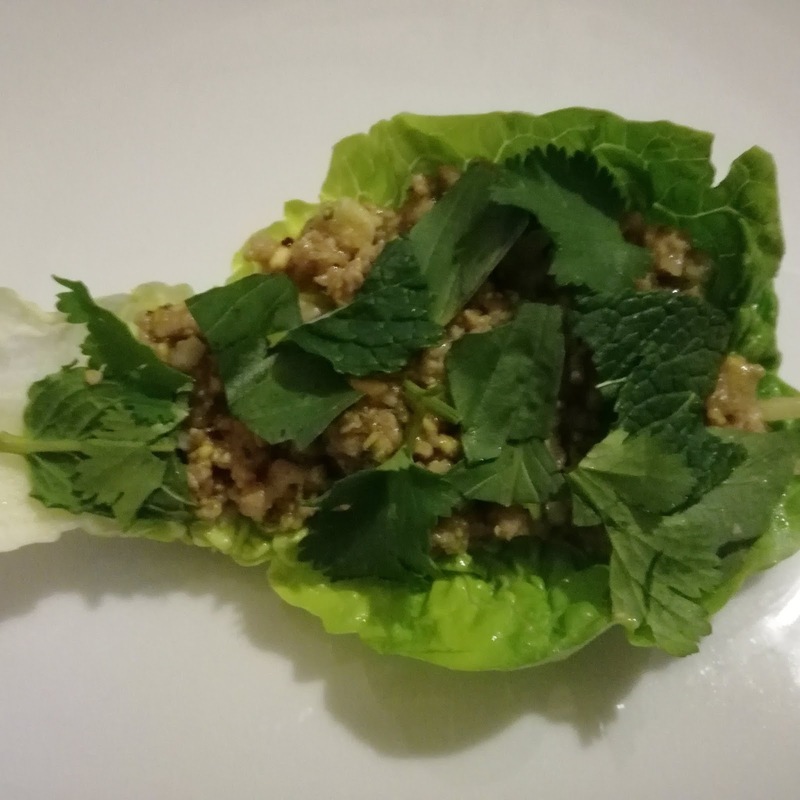 Anyway, this month's collection of lovely stuff is accompanied by a selection of photos of recent home cooking escapades. 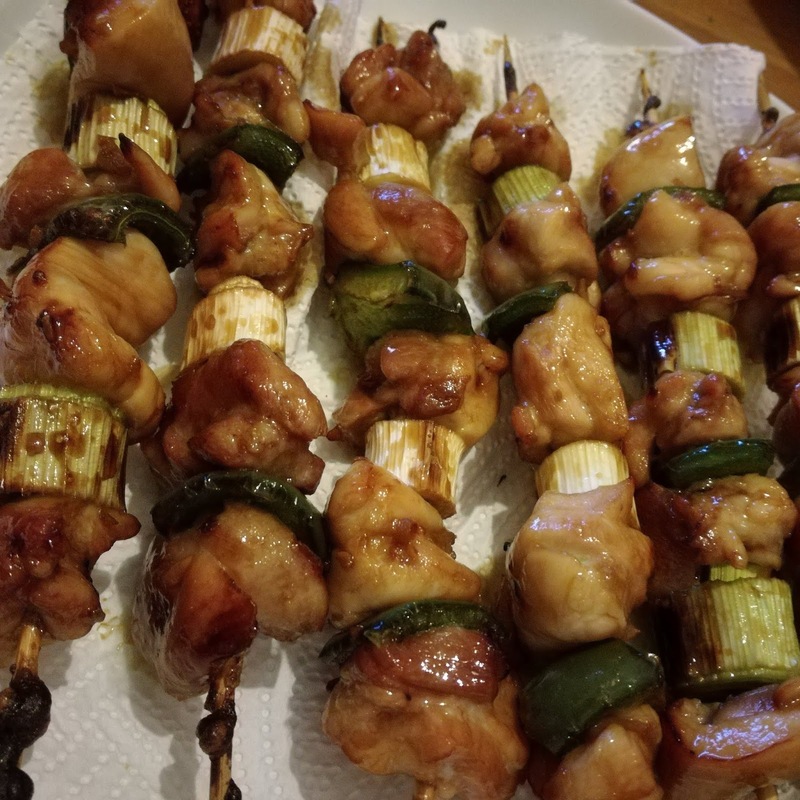 I hope you enjoy this post. I hope you are all well. I wish my students best of luck in their assessments and exams! You've got this, my lovely students! March means St Patrick's day! Here is a recipe for bangers and mash with a difference - with Guinness and onion gravy! Please note: as with every monthly Favourites List, all of these items have been selected by me simply because I love them. I do not receive any money, benefits in kind or other incentive for posting these links or recommendations. 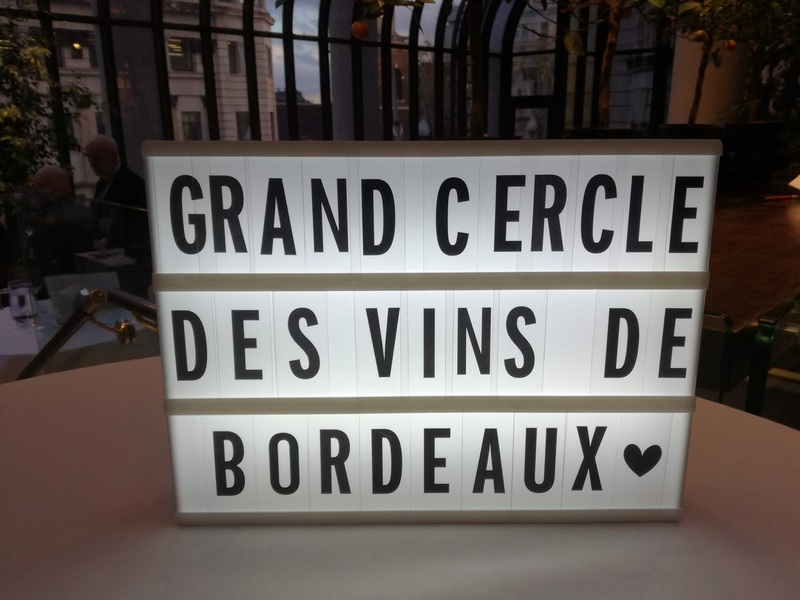 Bordeaux is famous for its wines, and its producers are passionate about quality and co-operation. 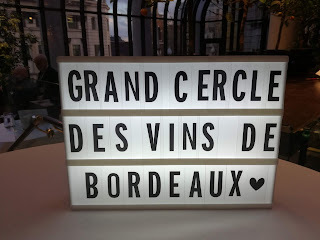 At this year’s En Primeur tasting (where the new 2018 Vintage can be sampled by reviewers, merchants and restauranteurs, I met with President Dr Alain Raynaud, the man chosen by all the producers to represent them in the “Grand Cercle” (great circle) of Bordeaux wine producers. President Dr Alain Raynaud’s symbol on the business card he hands me is a neat, but telling one. It is a bunch of grapes which is intertwined with a serpent. The snake is the famous symbol of the physician and the grape, that of the winemaker, because Alain is a man of many talents, being a medical doctor and wine estate owner and wine maker. The 2018 Vintage has been described by President Dr Alain Raynaud as “a very good vintage, very close to 2016”. But he did say that it wasn’t a perfect vintage. So what is the cause of these extra challenges? Alain was happy to explain. “There is no doubt the change of climate is causing a different ripening of the berries. We may have to think about a different time for picking the grapes. We need a balance between alcohol content and acidity; to achieve the balance of the wine itself.” This is because over ripening can lead to too much alcohol in the wine. Too much alcohol results in a flat taste, which would spoil the pleasure of these wonderful wines. The sugar content, when too high, can result in too high an alcohol content. 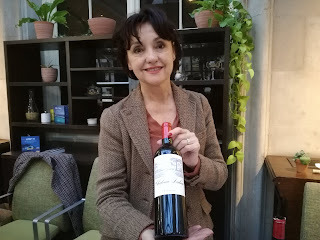 I met Brigitte Rullier from Chateau Dalem, the fourth generation of winemakers at the Chateau. Brigitte is an utterly fascinating woman I had great fun chatting with. She single handedly runs the Chateau, which is no mean feat! Brigitte reminded me that whilst there are women winemakers, most of them work with either a father or husband, and not so many take charge themselves. Brigitte’s husband is gainfully employed elsewhere. 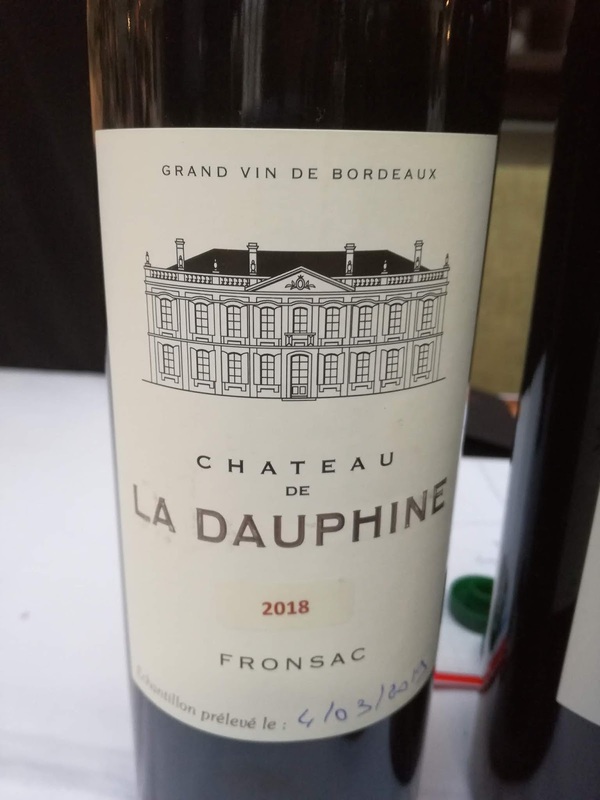 Brigitte told me to watch out for the Fronsac Appellation. Her prediction is that it will be in fashion in a big way in the next few years to come. 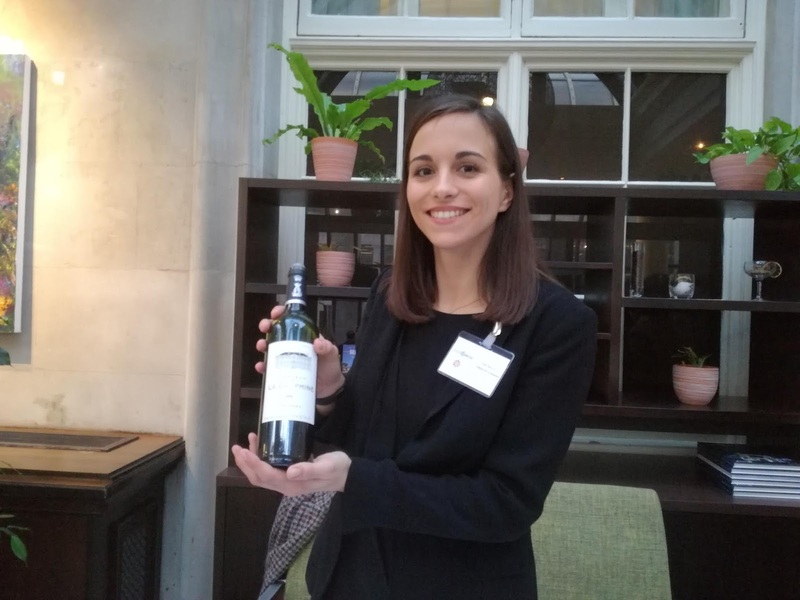 Brigitte is friendly with her fellow Fronsac neighbours and is passionate about maintaining high environmental standards (hence her ISO 14001 and HVE3 certification). 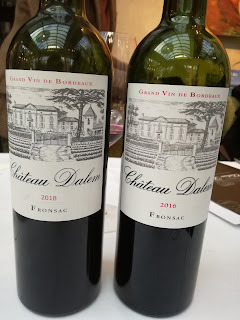 Brigitte’s En Primeur offering, the 2018 Chateau Dalem Fronsac is a fresh flavoured red wine, composed of 85% Fronsac Merlot and 15% Cabernet Franc grapes. It is very long with good balance, the finish is mellow because of the long tannins. It is dark and rich looking, with lots of fruitiness. 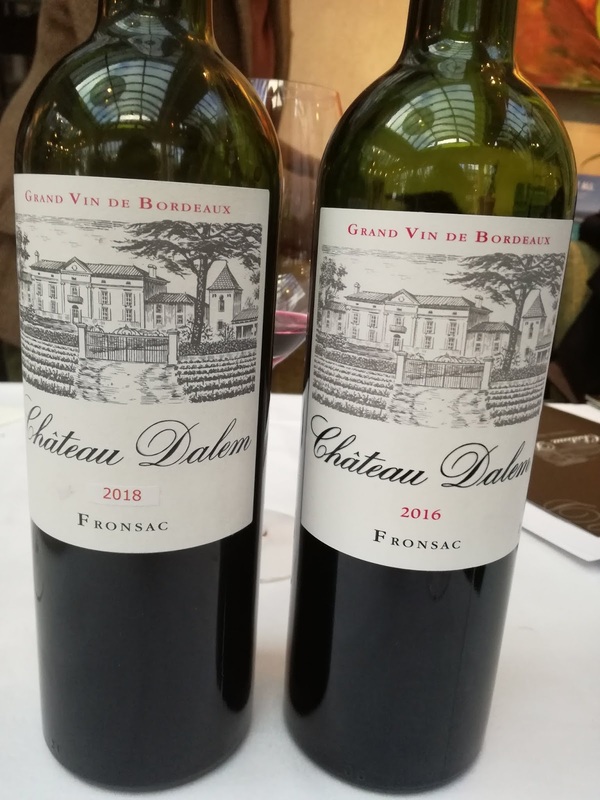 The Chateau Dalem 2016 Fronsac, again with 85% Fronsac Merlot and 15% Cabernet Franc grapes, has deeper tannins by comparison, but a more pronounced balance between fruit and tannins. It is full of character, much like Brigitte! Brigitte loves cooking and is inspired by her travels. She’s confident this wine can be the accompaniment to any food, even fish, perhaps cooked in red wine. 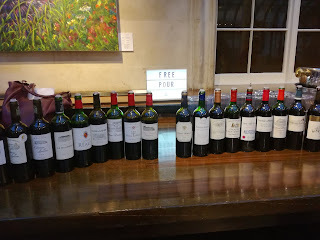 Fronsac will go well with classic French food, I would agree. We both thought it might not be so suitable for very spicy food, given the deep tannins. A wine which would be great on a restaurant wine list for sophisticated diners. 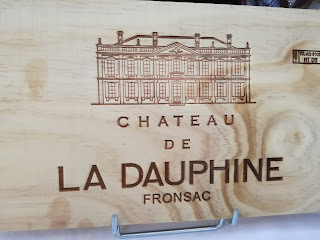 Brigitte then suggested I meet another producer of Fronsac and took me along to the stand for Chateau de la Dauphine. She was surprised to realise I had already met Lisa Saunier from the Chateau at a previous En Primeur tasting! 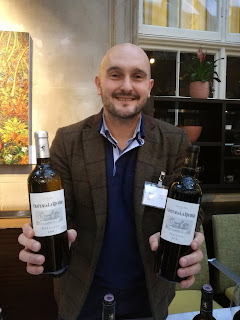 Chateau de la Dauphine went organic in 2012 and biodynamic in 2015. 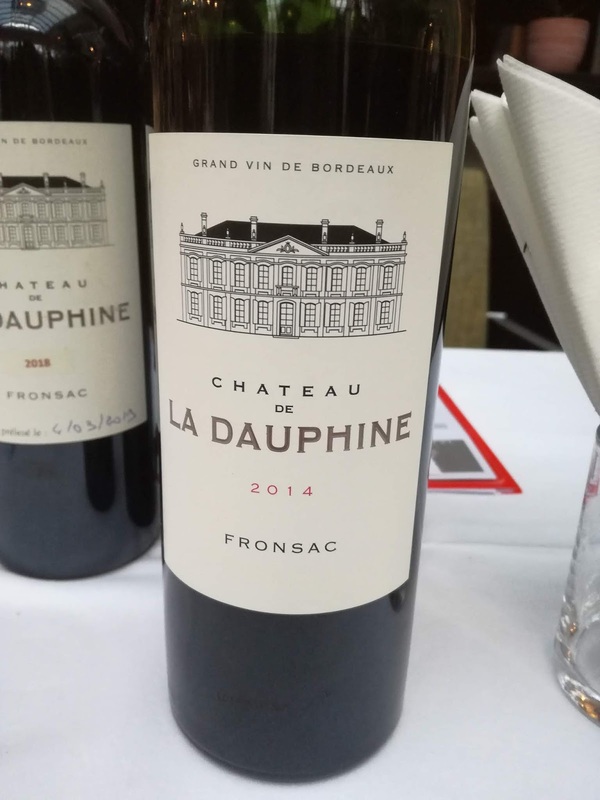 The grapes are grown on clay and limestone soil on a hill, giving perfect conditions for the Cabernet Franc and Merlot grapes used to make this Fronsac Appellation wine. 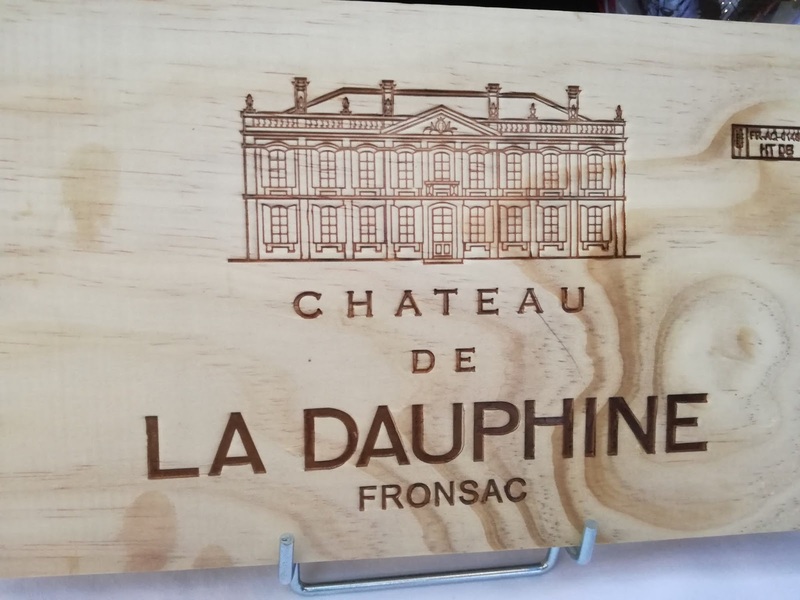 The 2014 Chateau de la Dauphine Fronsac is 14.5% alcohol made with 90% Merlot and 10% Cabernet Franc. It has good freshness, which Lisa explained is because of the “Fronsac Molasse”, tiny stones present in the soil from the time when the area used to be the sea bed, millions of years ago. The hill location provides good sun exposure, leading to effective ripening of the grapes. The wine is velvety smooth, with berries and a touch of liquorice. Lisa explained this liquorice flavour could be the effect of this Molasse on the Merlot grapes. I loved the gentle warming finish, with no harshness. But what about the 2018 En Primeur? This time with 85% Merlot and 15% Cabernet Franc, there is a subtle difference to the blend, which I notice has a much lighter colour to the wines I had tasted up to this point. 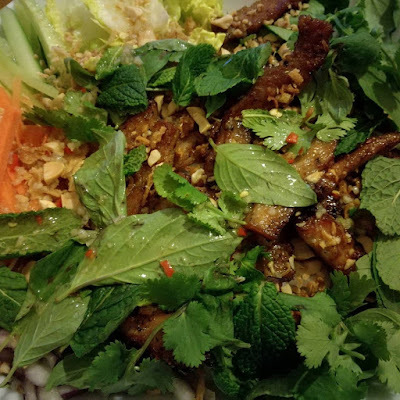 It has lots of fruit, like fresh Summer berries. There is no harshness in the mild tannins, making this wine ideal for cheese and dark chocolate. Lisa said that this year they had a good yield with good maturity, leading to the superior freshness of flavour. The location of the Chateau by the side of the river is a big influence on the wine, bringing out the freshness. The Chateau coped with the hot Summer by speeding up the harvesting process, which if it had not been done would have resulted in a wine with too much alcohol and a flat flavour. Lisa thought this was the most promising of the wines she has ever been involved with making. Next up, I met Pierre from Chateau de la Riviere, located on the Dordogne river. I tried his white wine first, an Bordeau Appellation wine made of one third Sauvignon Gris and two thirds Sauvignon Blanc. It had real potential, but is still young. It needs more time to bring out the full flavours, which will be achieved by aging in barrels for six months. In fact, the 18,000 bottles worth of wine currently in barrels won’t actually be bottled until June! The riverside location of the Chateau protects the grape plants from hail and frost over Winter and early Spring, which damages the vines, spoiling the quality of the harvest. This is one to come back to when it is ready! Grown on a clay and limestone terroir, I tried the 2018 En Primeur Fronsac next. With a deep dark red colour, this instantly seemed like a wine perfect to drink with steak. 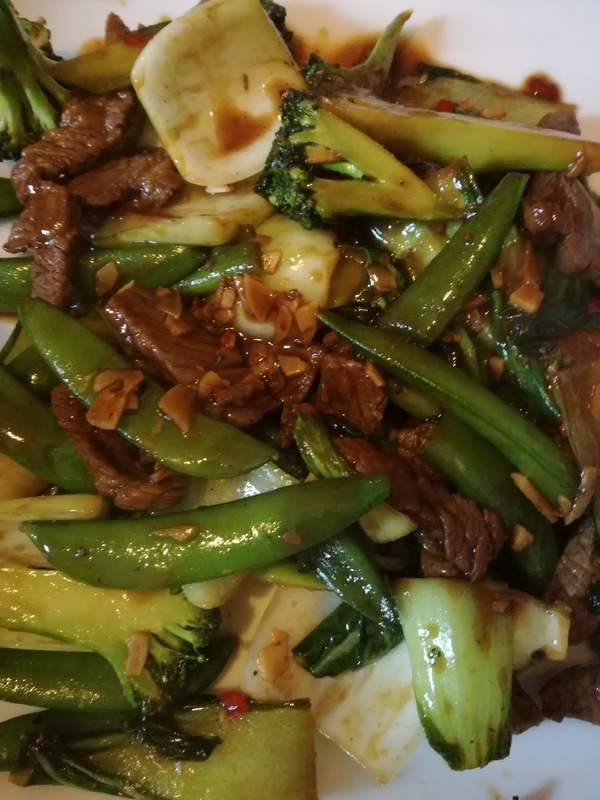 Pierre suggested that because of the pepper aromas, steak with peppercorn sauce and skinny fries would be a fabulous pairing. He also suggested game meats and wild boar in particular. Pudding wise, Pierre suggested any dessert with both chocolate and orange as the power of the wine would balance well with the acidity of the orange. The 2% Malbec brings the pepper aromas and the 84% Merlot, 6% Cabernet Sauvignon and 8% Cabernet France bring the power. The last Chateau de la Riviere wine I tried was the 2016 Fronsac which has been bottled, but is a wine for keeping for later. Pierre suggested it could keep for 5, 10 or even 15 years! It was smooth, with a delicate finish, indicating how the 2018 En Primeur might come out. There were aromas of toast and I was able to detect red and black fruit flavours and a touch of chocolate. Pierre surprised me by saying he was able to taste pepper, coffee and toast! 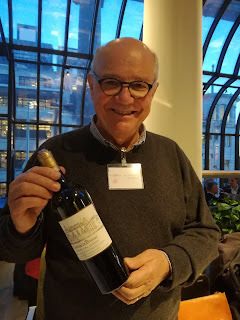 I moved from Fronsac to St Emilion, meeting Jean-Francoise Quenin, owner of Chateau de Pressac. The Chateau is located on the historic limestone plateau of St Emilion in a historical estate which dates back 1000 years. Jean-Francoise renewed all of the vines when he took over the estate, and was rewarded for this troubles by being awarded Grand Cru status in 2012. 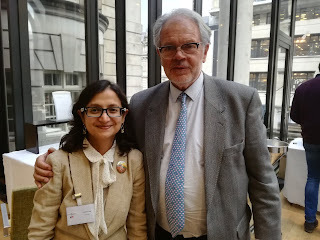 He told me about the three different terroirs the estate has, and how they influence the quality and taste of the wine. The plateau of limestone rock, the slopes and the “Pieds de Cotes” (foot of the slopes) each produce subtle differences in the grapes and it is the blending of these grapes which create the overall flavour and aroma of the wine. 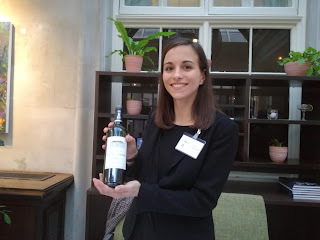 The 2018 En Primeur had an elegant aroma, which Jean-Francoise described as a classic nose. This wine will, when ready, be a great accompaniment to food owing to the black fruits in the flavour profile. Blended from 65% Merlot, 18% Cabernet Franc, 11% Cabernet Sauvignon, 4% Pressac and 2% of a special Malbec grape called Carmenere. Many of the grapes for this wine are grown on terraces, hewn into the stone by many hands hundreds of years ago. 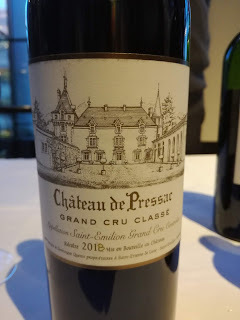 Tasting the 2011 vintage from Chateau de la Pressac, I was struck by the complexity. I sensed freshness, a lingering finish and good acidity. Jean-Francoise suggested this wine with meat, particularly with a little bit of fat, such as entrecote steak. 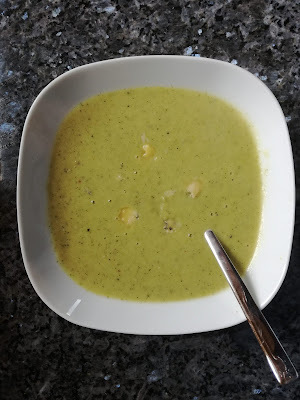 He also said it was ideal for cheese, singling out Cantal and Gruyere as highly suitable. However, Jean-Francoise said goat’s cheeses were to be avoided because of the fruitiness. 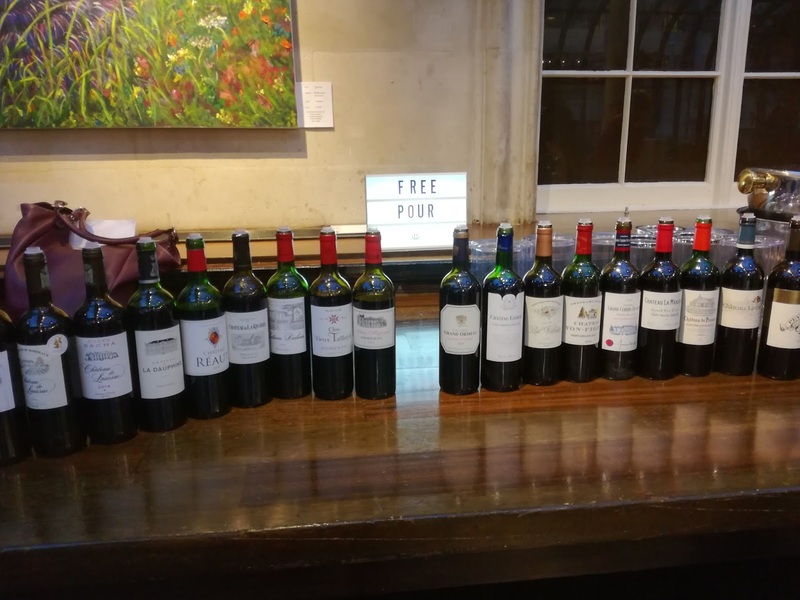 I was impressed that despite the challenge of a very hot, very dry Summer last year, the winemakers had all managed to avoid flat tasting wines. Their ingenuity has resulted in a very hopeful new Vintage which the makers I met suggested could be as good as 2016. Good news! Snigdha attended Grand Cercle Des Vins De Bordeaux Primeurs 2018 tasting as a guest of Business France. Snigdha has not received any incentive, either financial or otherwise for posting this review, which represents her genuine views and opinions.